Correct Wedge Bounce for your Game - Are your Wedges fit? 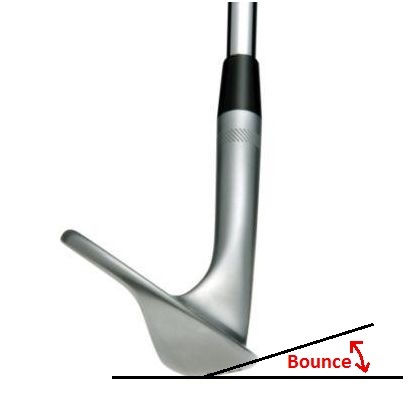 Why is wedge bounce important? It is for several reasons. You need to make sure your wedges bounce are fit for variety of lies. 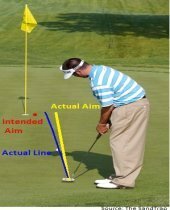 In addition to putting, having the correct bounce on a wedge is another vital factor to you being successful within a 100 yards. 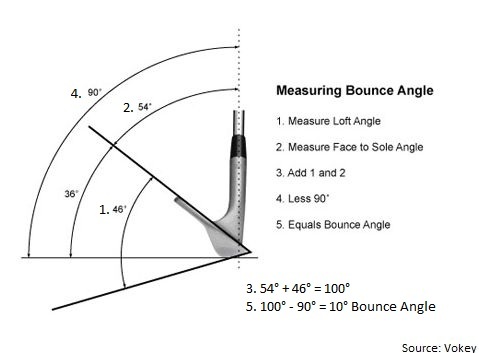 To determine what is a correct golf wedge bounce it may be helpful first to understand what it is. According to Vokey.com, "bounce is the angle created between the sole line of the golf club (the line from the leading edge to the trailing edge) and the ground line at address." When you have determined the bounce on the wedge the next step is to understand what bounce is required from certain lies. 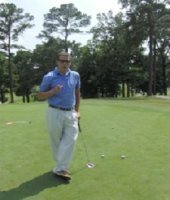 For example, when playing from a thin lie such as tightly mowed fairway, fringe, or shallow sand it is best to use a wedge with a lower bounce. If you use a higher bounce then you will be exposing the leading edge off the ground and increasing the chance to hit the shot thin. 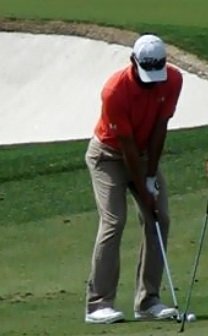 The picture below is of a PGA Tour player playing pitch shot from a tight lie. As for lies such as thick rough, soft sand, or lies with space under the ball it will be best to use a wedge with a higher bounce. 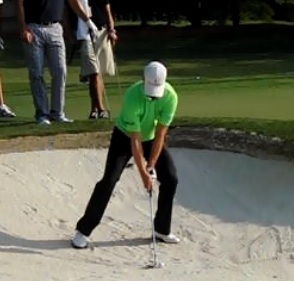 The following picture is of Zach Johnson before he blasts a ball out of soft sand. It is important to have a variety of wedges with different bounces if you're a serious golfer. A good number would be to use 3 wedges such as a pitching wedge, sand wedge, and lob wedge. By using three wedges you ensure that the pitching wedge has the highest bounce, the sand wedge with medium bounce, and then the lob wedge with the least amount of bounce. Having the correct wedge bounce can mean the difference in a thin shot or a fat shot. I hope you make the right decision and investigate are your wedge's bounce fit?